John Frederick “Shine” Pitaro 89 of Oakdale, passed at home on Friday October 26, 2018 surrounded by his loving family. 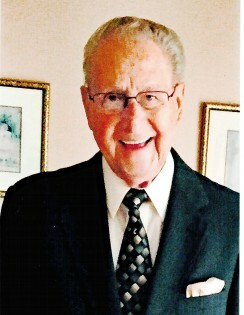 Born May 22, 1929 in Coraopolis, PA, son of the late Frederick and Maggie (Karikas) Pitaro; Survived by his loving wife of 37 yrs Pam (McHugh) Pitaro; preceeded in death by his first wife Amy Pitaro; loving father of John (Betty) Pitaro, Jamie (Fran) Petraglia, David Pitaro; son-in-law of Joan McHugh; Grandfather of John (Erin) Pitaro, Ryan (LeAnn) Pitaro, Amy (Alex) Natsios, Daniel Pitaro, Paul (Micki) Pitaro, Rachel (Fiance Evan) Pitaro; Great Grandfather of Braden, Tanner, Parker, and Mia Pitaro; Brother of Irene (late Dave) Vandevort, Connie (late Emmett) Carney and the late Eugene Pitaro and his surviving wife Gilda; and brother-in-law of Gregg (Rhonda) McHugh; father-in-law of Donna Mrdjenovich and brother-in-law of William & Theresa Baker; also survived by several nieces and nephews; He was a veteran of the Korean War serving in the Army, a life insurance salesman for Metropolitan Life and American General Life Insurance from which he retired at the age of 62. He was an avid bowler and also played golf even up until this past year. His passion was going to the Meadows having coffee with his friends and betting on the horses. Visitation Monday Copeland’s Moon Township, 981 Brodhead Road from 2-8 PM where a service will be held on Tuesday at 11:00 AM with his nephew Pastor Scott Carney officiating. Interment to follow at Resurrection Cemetery where military honors will be accorded. In lieu of flowers family suggest memorial contributions to the Humane Society or a charity of your choice in his memory.